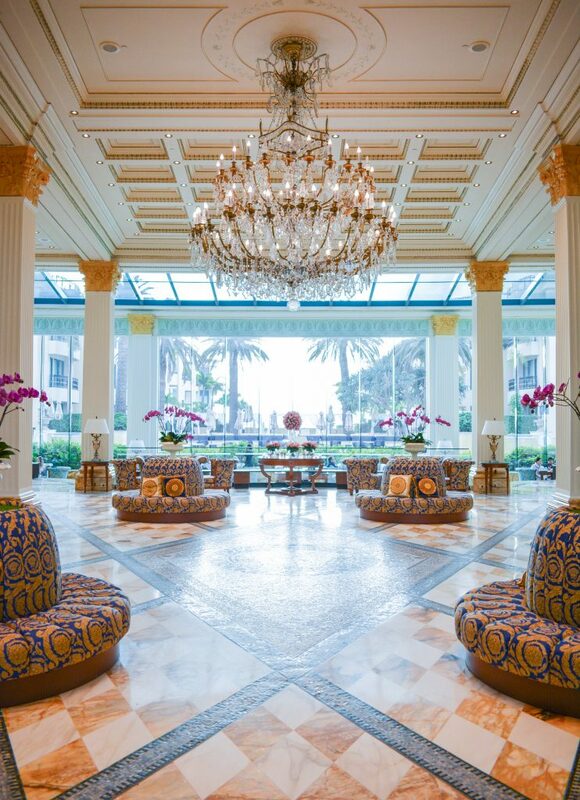 When it comes to lavish accommodation in Australia, the Palazzo Versace in Gold Coast is true to its reputation and immerses guests into a world of indulgent and unforgettable experiences. 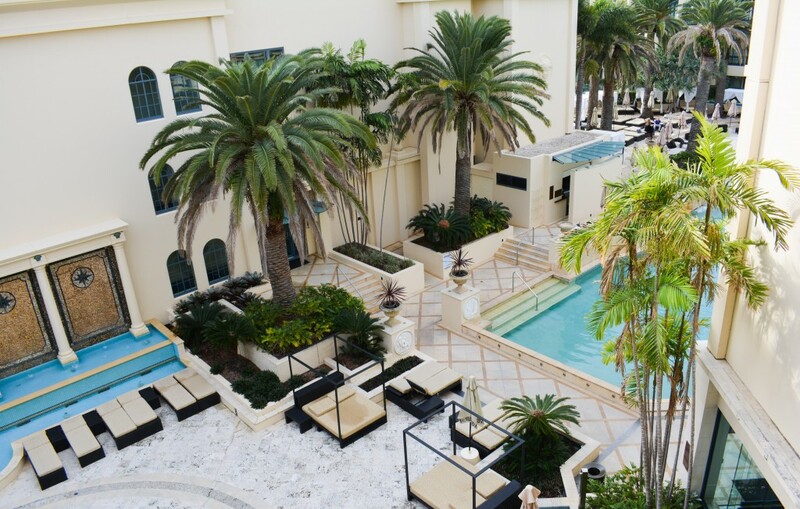 Comprising of three award winning restaurants, a private marina, the famed Aurora day spa, a Versace boutique and Australia’s first Water Salon cabana experience, Gold Coast’s Palazzo Versace is the ultimate luxury holiday destination to escape the cold winter. 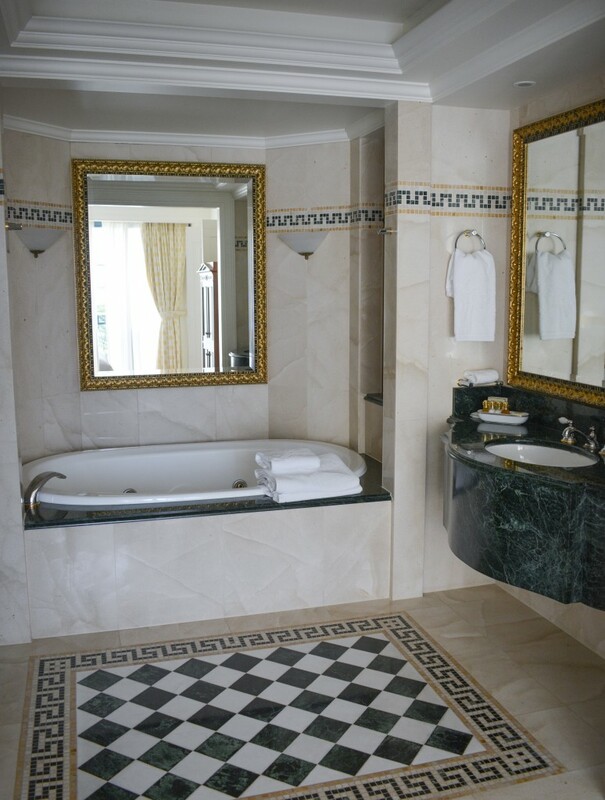 Being one of the world’s first fashion luxury brand hotels, the Palazzo Versace is majestic in every facet. 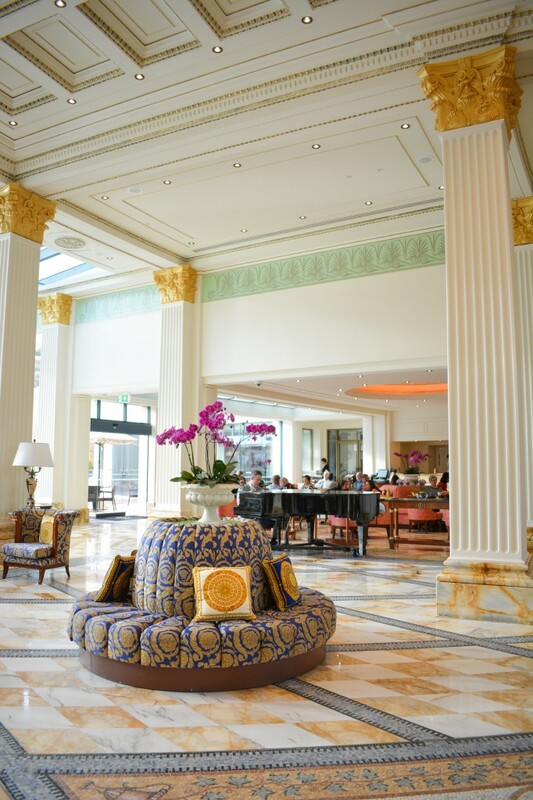 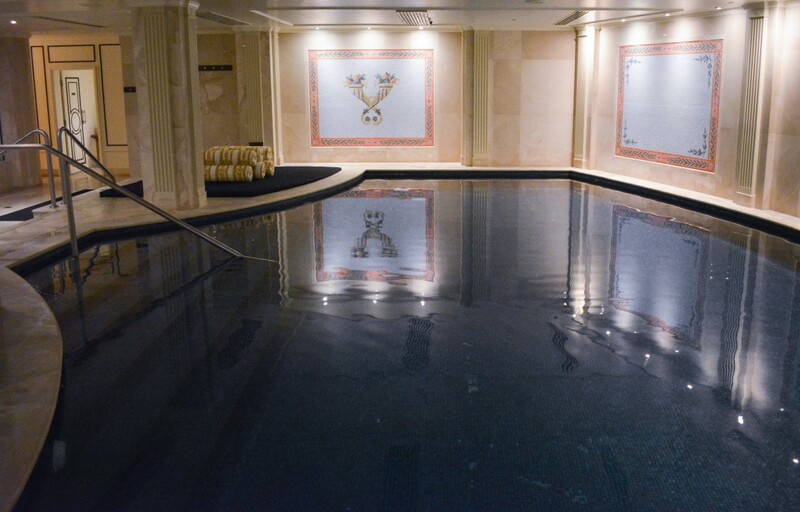 With bespoke Versace fabrics and furnishings that are sourced directly from Versace in Milan, Italy, thousands of exquisite hand-laid tiles and an invaluable chandelier that was originally designed for Gianni Versace’s personal home, Palazzo Versace is fabulously decadent in its design. 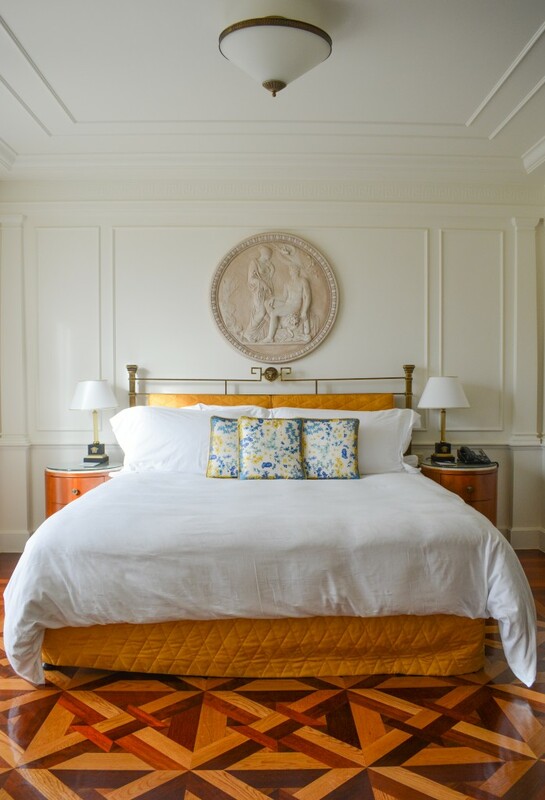 All 200 bedrooms and suites authentically showcase European luxury and are fully outfitted with bespoke Versace Home. 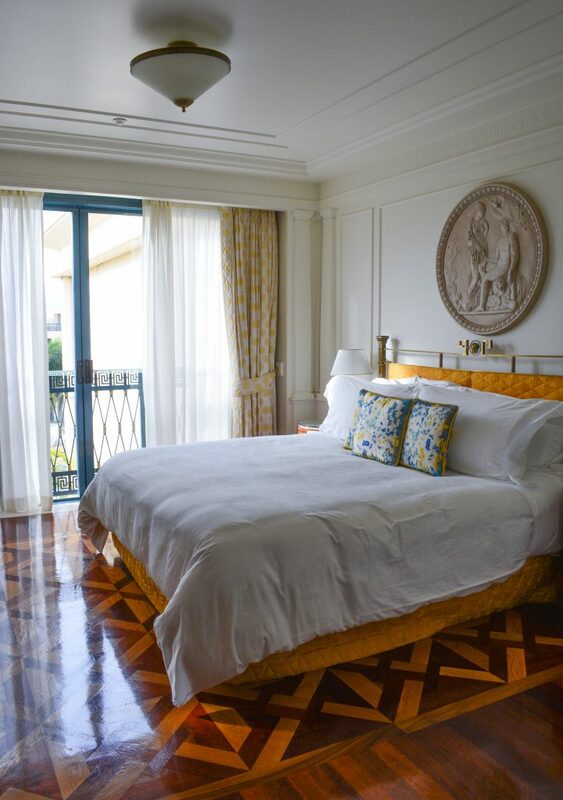 From the luxurious Versace linen, colourful silk pillows, floor to ceiling windows, antique styled furniture embellished with the Versace logo, and a ‘Juliet’ inspired balcony looking out to the azure lagoon pool, guests will find themselves fully immersed in the opulent lifestyle of Palazzo Versace. 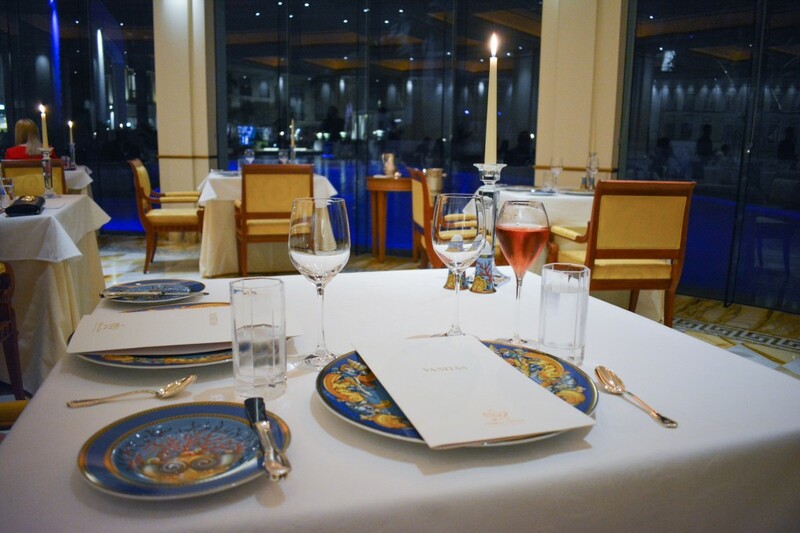 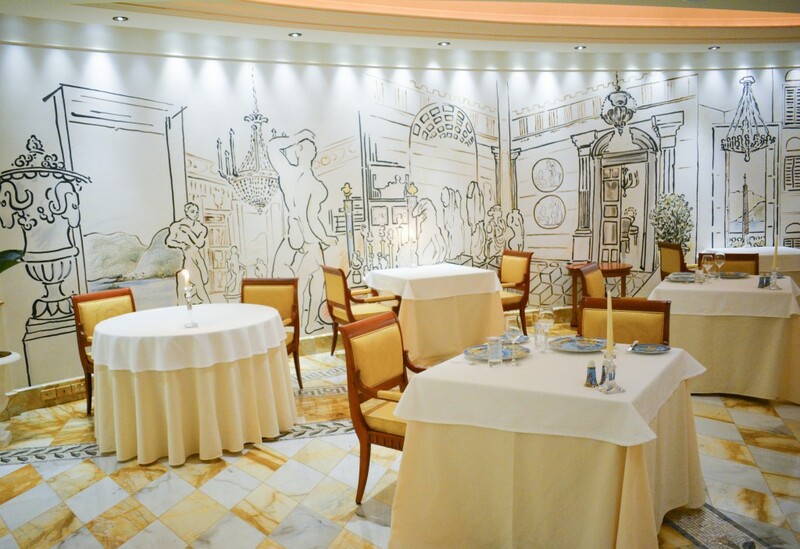 As impressive as its design, is the world class offering of services and dining experiences at Palazzo Versace. 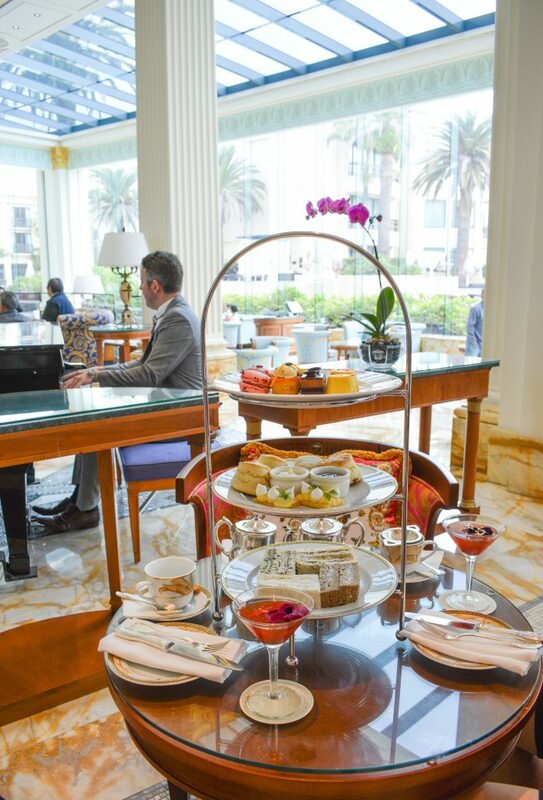 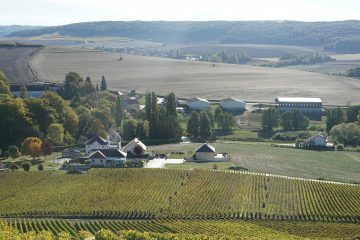 With three award winning restaurants located conveniently within the hotel, guests can experience an incredible degustation course at Vanitas – awarded ‘The Most Fashionable Restaurant Around The World’ by Harper’s Bazaar in 2015, delight in the famous Le Jardin high tea and feast on a seafood buffet at Il Barocco Restaurant. 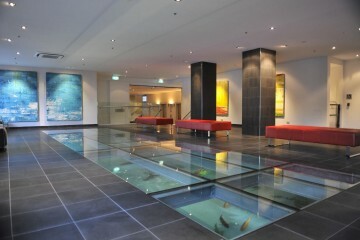 Even in Gold Coast’s winter, temperatures usually reach above 20 degrees and guests can restfully daydream in luxurious cabanas, take a dip in the year round heated lagoon pool, or if the weather does not permit, to have a relaxing soak at the Grecian styled indoor pool located aptly next to Aurora Spa. 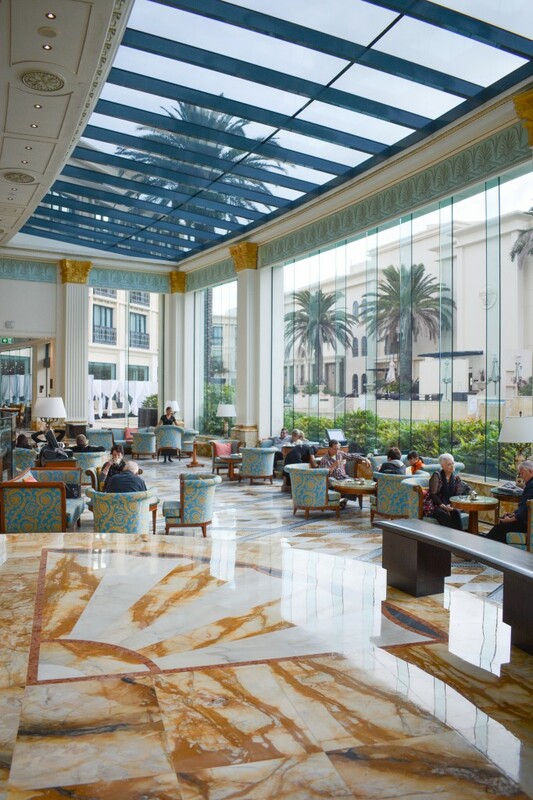 Situated in Main Beach, the Palazzo Versace is only a short distance from Surfers Paradise and is also ideally located beside the Marina Mirage shopping centre, home to other restaurants and fashion boutiques. 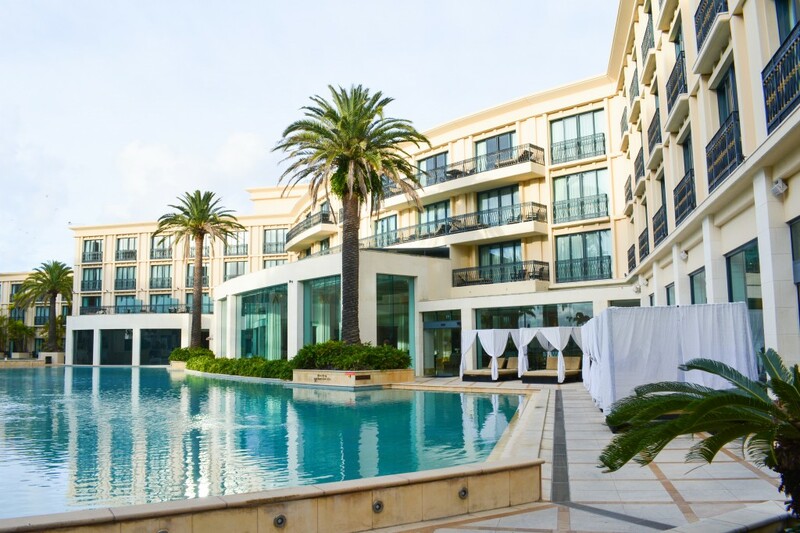 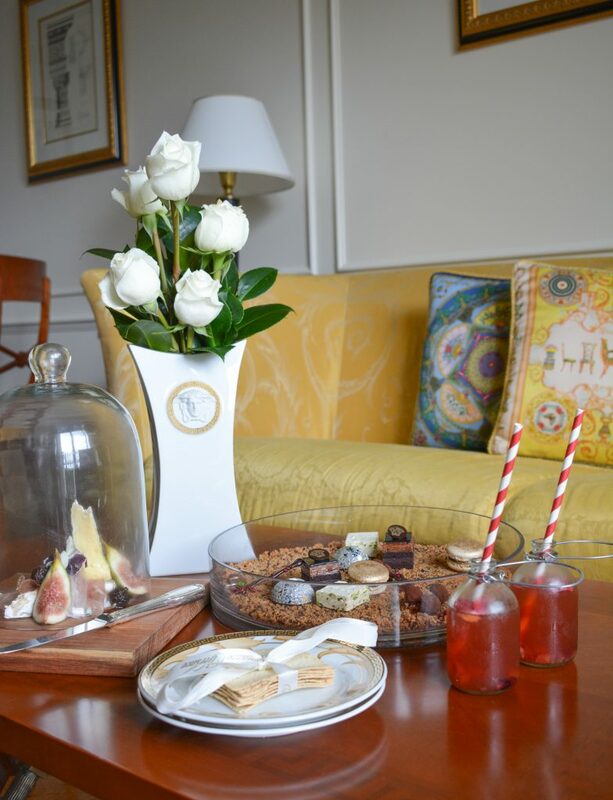 Whilst an ideal hotel for couples, the Palazzo Versace is also a wonderful stay for families as north of the hotel lies one of Gold Coast’s main family attractions, SeaWorld. 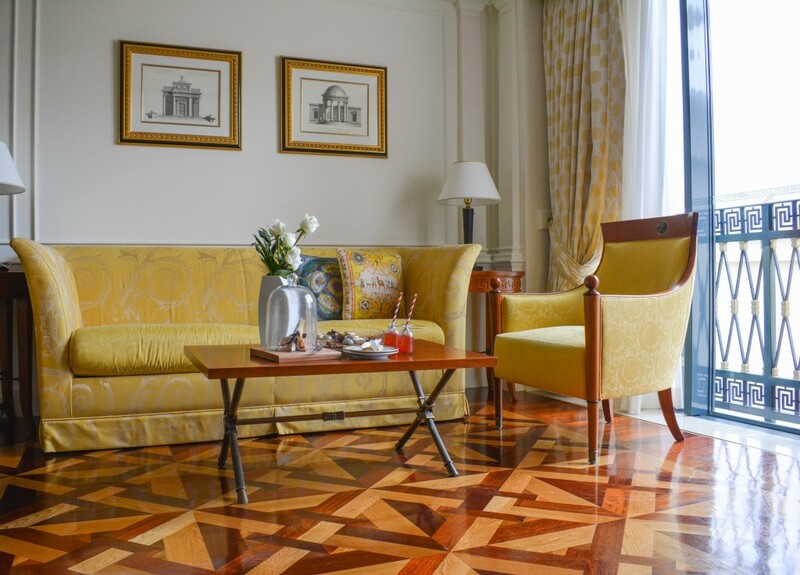 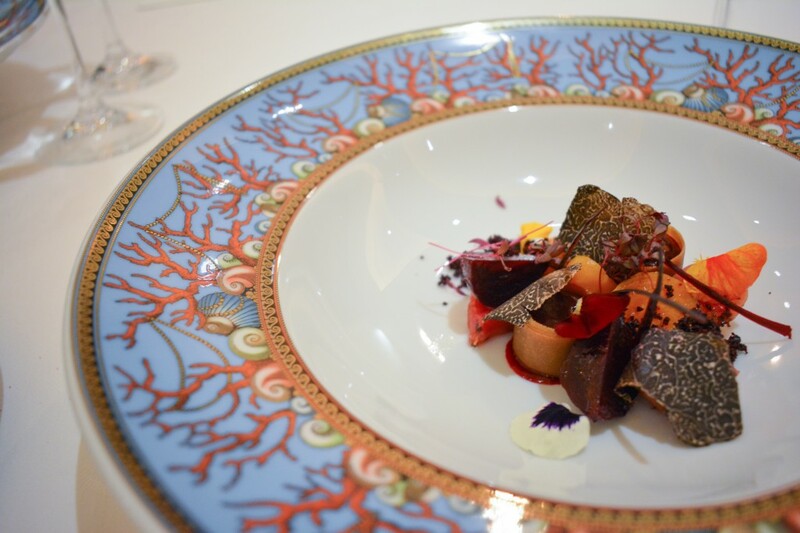 For your mid-winter sojourn, stay at the Palazzo Versace for a sumptuous experience. 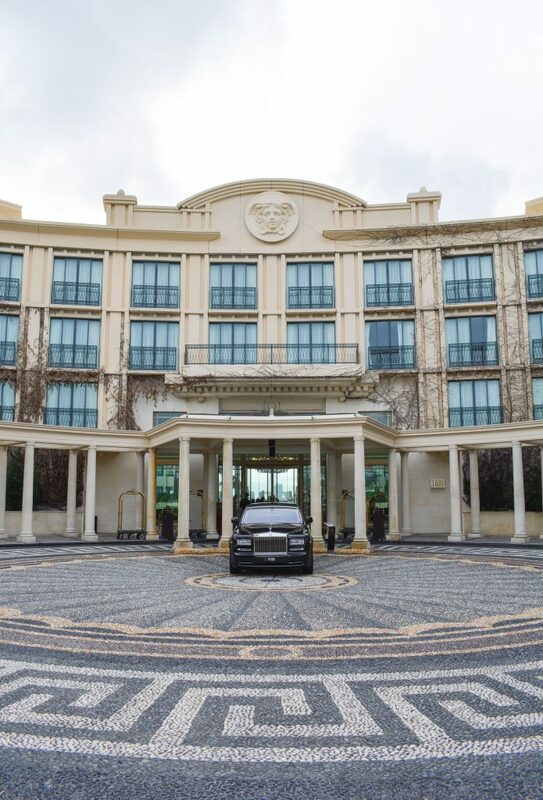 Visit the Palazzo Versace website for more information and to book your stay.